This threatens not only water security for humans, but also that of wildlife and aquatic ecosystems which depends on healthy, abundant riverways. The UK is one of the highest water consumers, using on average a massive 150 litres per person, per day. 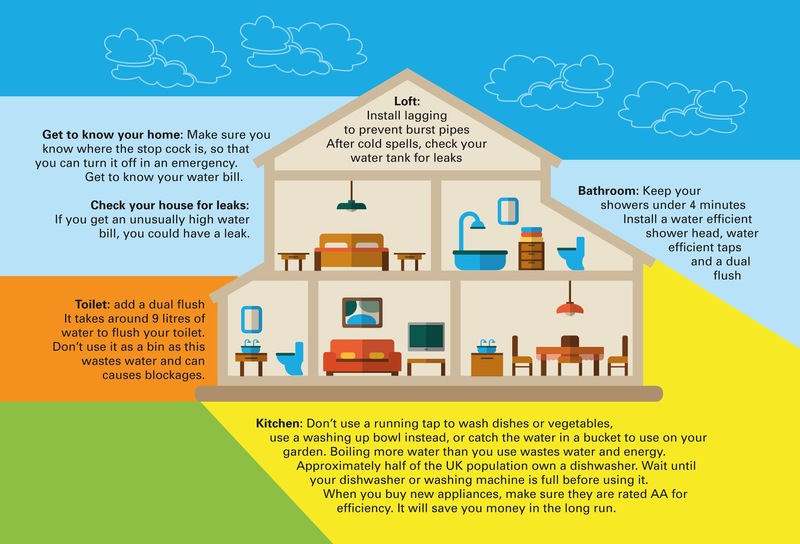 Reducing water waste helps protect one of our most vital environmental resources and it saves you money, too. The main message is simple: use only the water you need. Environmental concerns are at the heart of everything we do at The Pure H2O Company. We’re proud that our tap water purifiers, kitchen taps and other products help people reduce their environmental impact whilst protecting their health and enjoying their lifestyle. Quatreau™ Kitchen Taps: dispensing only what you need, in an instant. Waterwise recommends you don’t boil more water than you need and — we make this easy with our Quatreau range of taps which deliver exactly the amount of boiling water you need, straight into your cup, teapot or saucepan. There’s no need to waste water whilst you keep your ‘cold’ tap running until it gets cold enough for a refreshing drink, either — just select the Chilled option on Quatreau Touch™ or Quatreau Smart™Tap for instant, efficient chilled water. Our tap water purifiers don’t just guarantee water purity, providing unlimited drinking water free from the microplastics, pesticides, neurotoxins, hormones, medications and heavy metals found in tap water; they are extremely water efficient, too. In fact, we are the only company to have achieved high levels of water efficiency in our domestic systems. To get technical, our reverse osmosis (RO) process achieves 2:1 production ratio whilst our reverse osmosis with de-ionisation (RODI) process achieves 3:1. Additionally, we use unique, high-quality micro switches in our systems to ensure water efficiency, whilst RO systems from other companies only use basic mechanical valves which are much less efficient. Our purifiers also have an inbuilt intelligent management system that minimises water use whilst maximising water purity. Water treated in this way is not only water-efficient, pure and safe, it’s also much more environmentally friendly than bottled water and its associated single-use plastics pollution, carbon footprint, air-miles and resource degradation. So, it’s a win-win on the environment front with The Pure H2O Company’s tap water purifiers and multifunction and smart kitchen taps. Find out more at www.PureH2O.co.uk, call us on 01483 617 000 or email customerservice@pureh2o.co.uk — we’d be delighted to help you protect your health with pure water, maximise your lifestyle and reduce your environmental impact, too.